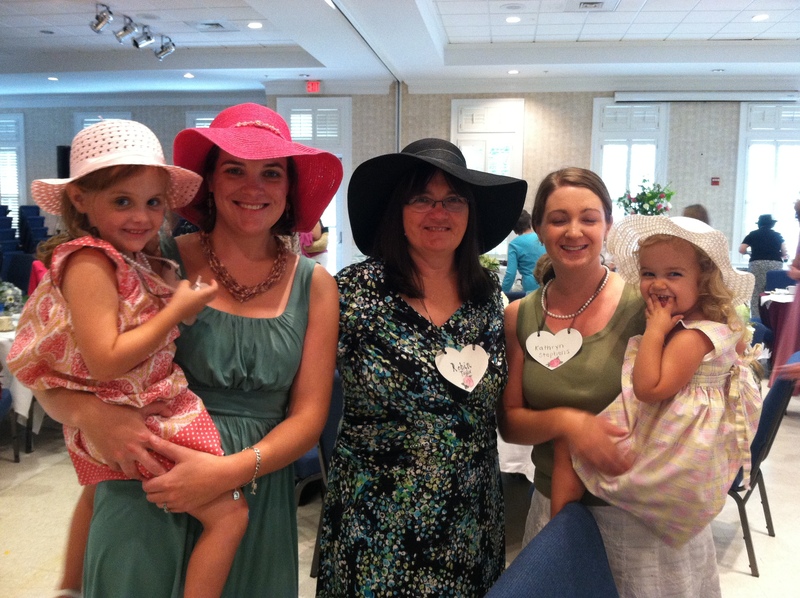 Today, my mom invited her two daughters and two granddaughters to a Mother-Daughter Tea at her church. It was lovely. 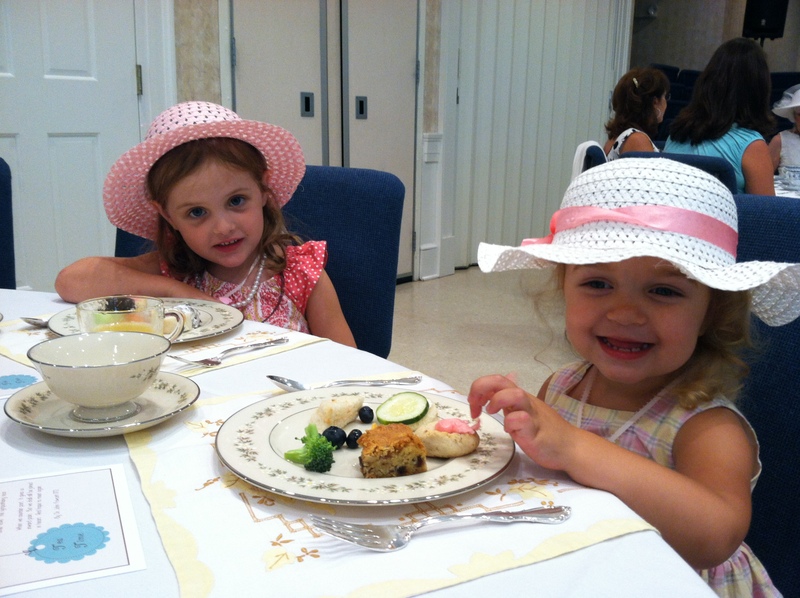 The hostesses decorated the tables with fancy linens, flower arrangements, and full sets of china…even real tea pots with matching sugar bowls with sugar cubes. I don’t think I have experienced that much fancy before. But it wasn’t stuffy fancy…it was very relaxed and fun. The owners of the fine china didn’t even freak out when a four year-old and two year-old sat down in front of their finest. Taylor ate her finger sandwich daintily, with her finger up. Of course, she also tooted three times during the course of the meal. 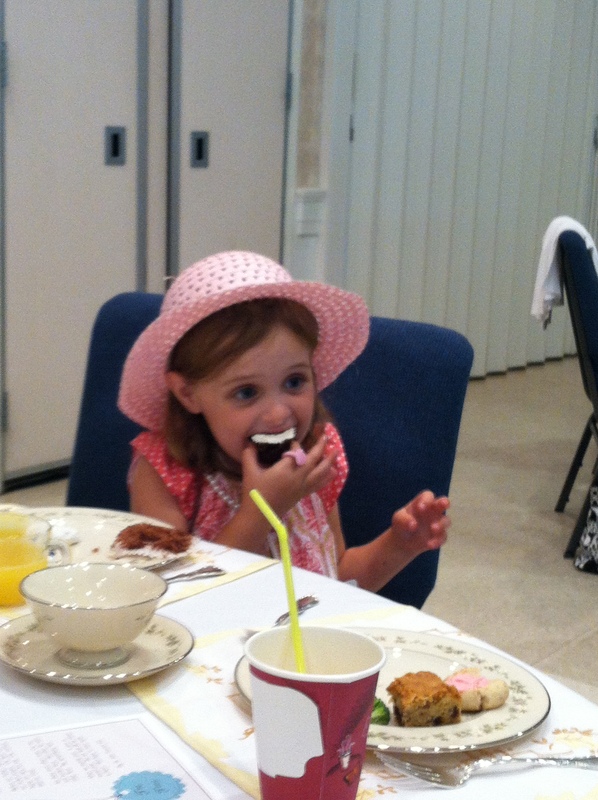 And then shoved a cupcake in her mouth. 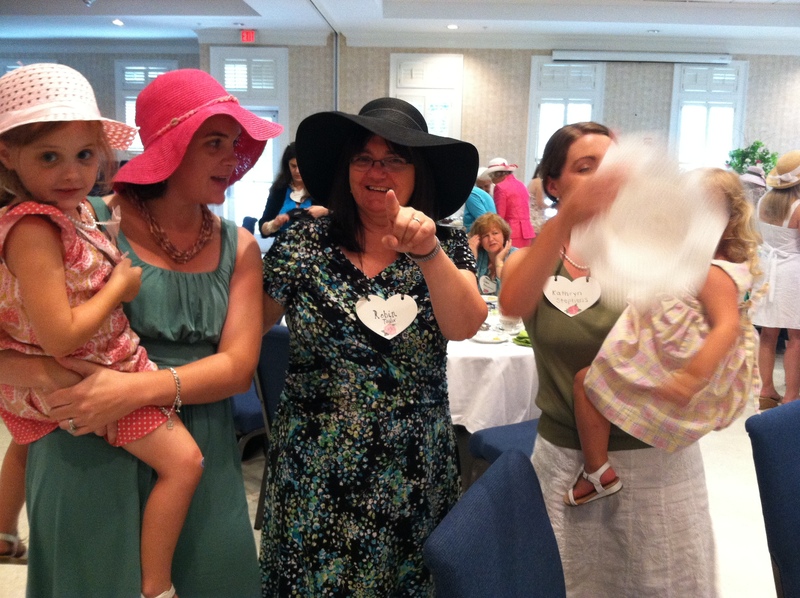 I think we pulled off Fancy like Fancy Nancy in our dresses, hats, and jewelry. Even if we aren’t the most photogenic family in the world. 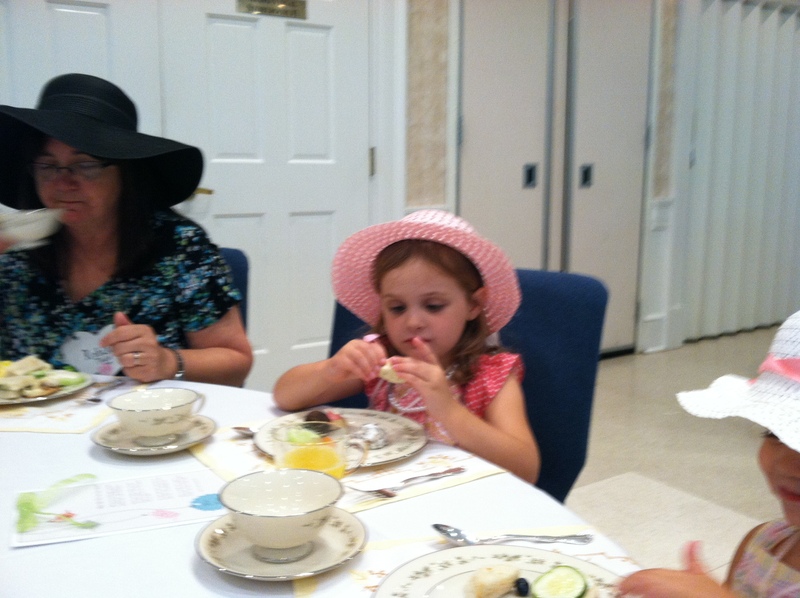 My hat serves mostly as my beach hat, so I had sand all over me by the time the tea was over. Yes, yes, we are classy folk.